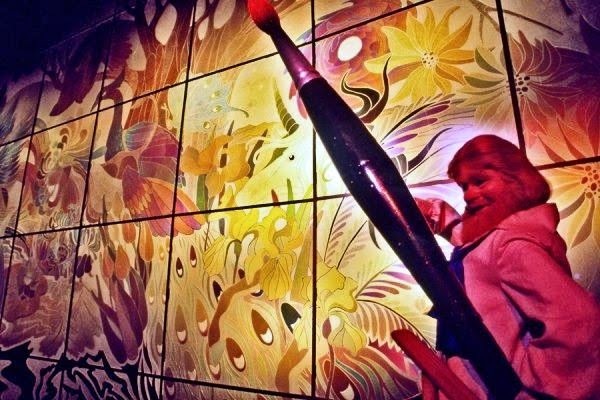 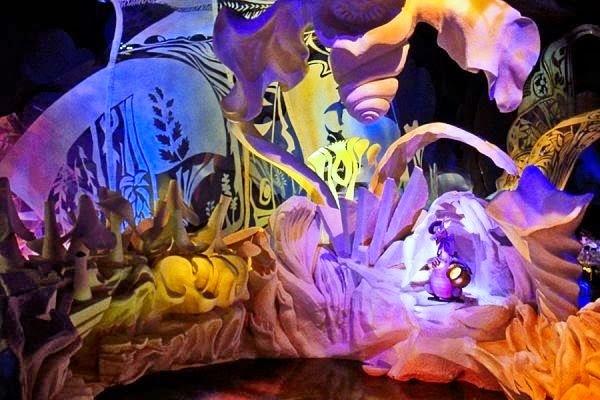 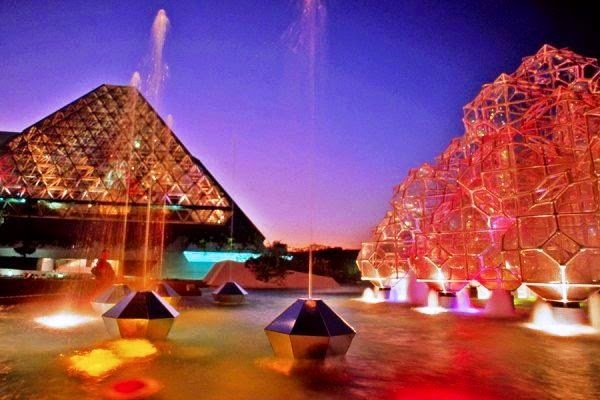 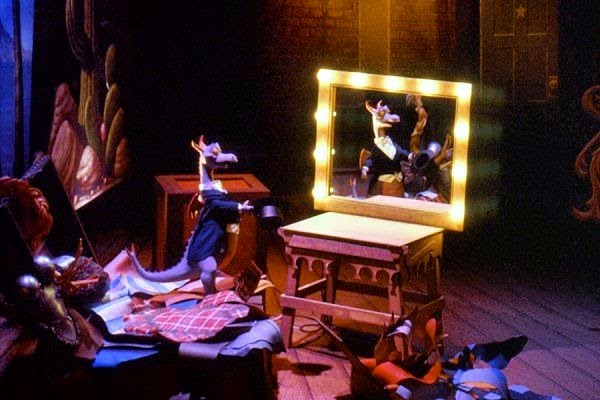 From here, Dreamfinder took Figment – and us guests – along on an exploration of the Dreamport, the place where the duo used their imaginations to try out new ideas in the arts, literature, technology and more. 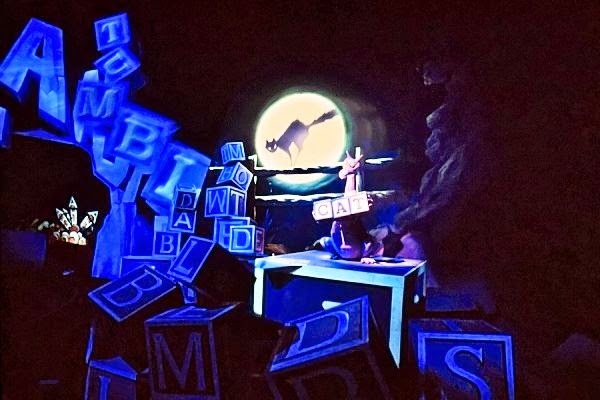 The attraction’s Image Works post-show offered guests a chance to experiment with creativity hands-on in different activity stations, including Magic Palette (digital drawing), Lightwriter (laser writing/drawing technology), Bubble Music (image projection combined with sound), and other interactive fun. 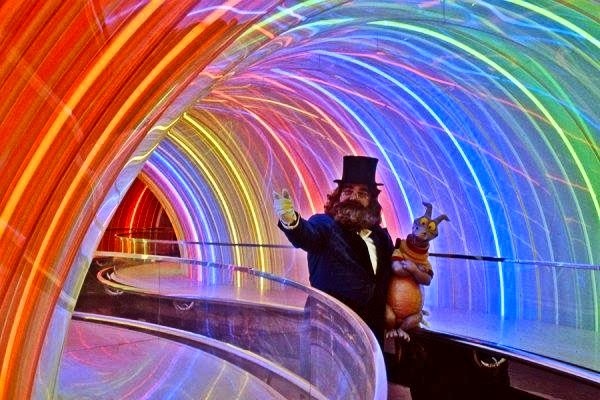 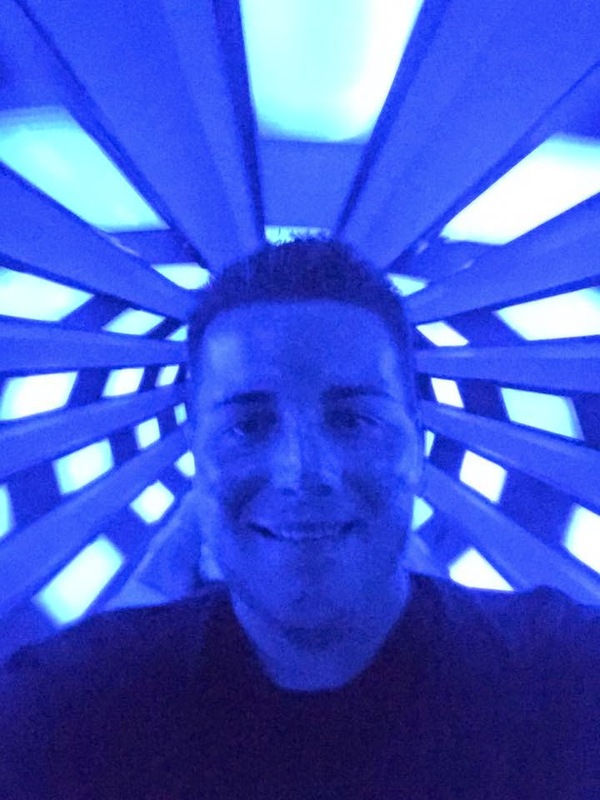 The famous Rainbow Corridor/Sensor Maze, pictured above, assigned a color to each person who entered and followed the person throughout. 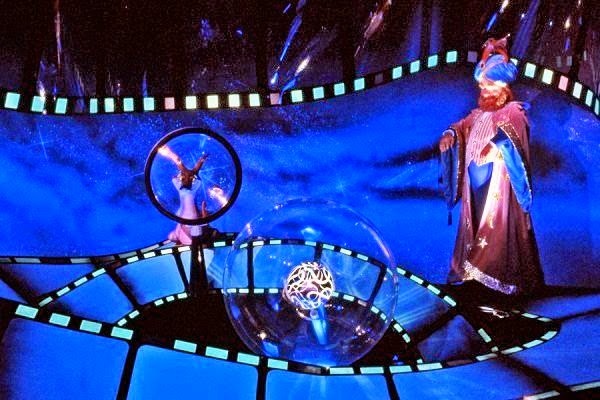 The attraction later became Journey Into Your Imagination in 1999, and the current version, Journey Into Imagination with Figment, debuted in 2002. 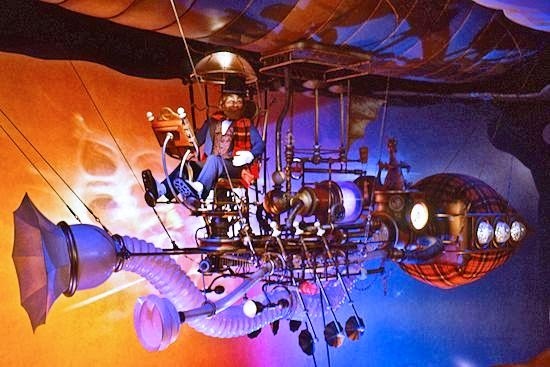 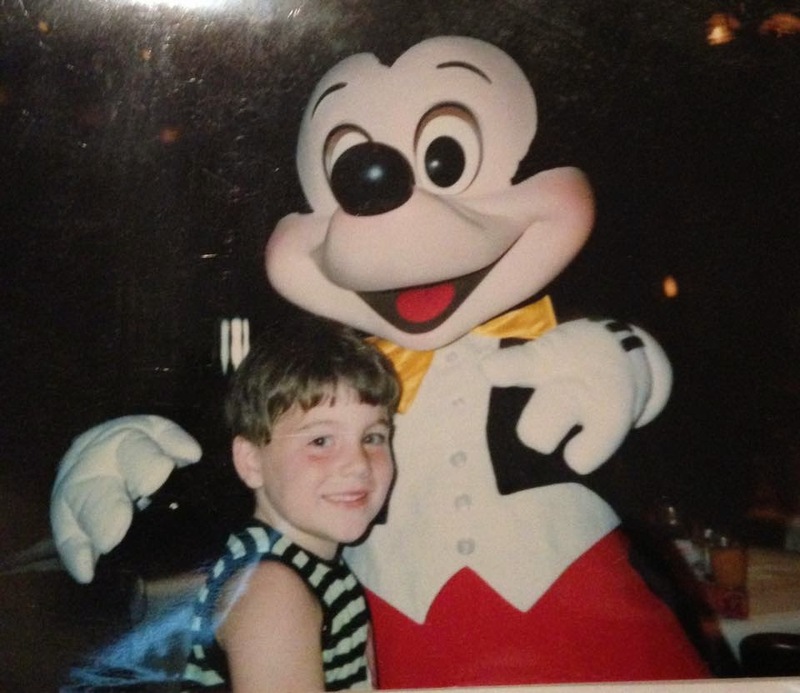 If you would like to learn more about the history of the Journey Into Imagination attraction, have a look at this article I put together last year. 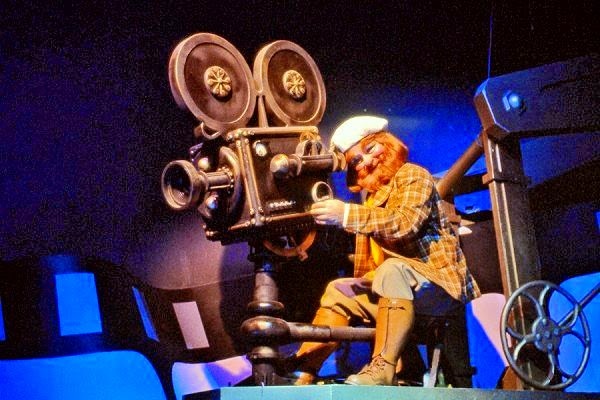 Also, I highly recommend you have a listen to my interview with Ron Schneider, the original Dreamfinder character, for the Disney Avenue Podcast.